Manchester United can forget trying to challenge Manchester City until they can even compete for a place in the Premier League top four, Jose Mourinho confessed as his side were outclassed in a 3-1 derby defeat by the English champions on Sunday. A fourth league loss of the season leaves United already 12 points adrift of their local rivals just 12 games into the new campaign. Of even more concern for Mourinho’s job prospects, the Red Devils are now also seven points adrift of the top four, putting Champions League qualification for next season at risk. Indeed, eighth-placed United are now as close to Cardiff in the relegation zone as they are to City. “We knew that there is a difference in potential (with City),” said Mourinho, whose side finished second in the Premier League last season, albeit a record 19 points behind City’s 100-point tally. Yet Mourinho’s tune was very different on his last visit to the Etihad when United spoiled City’s chance to seal the title in the derby by coming from 2-0 down to win 3-2. 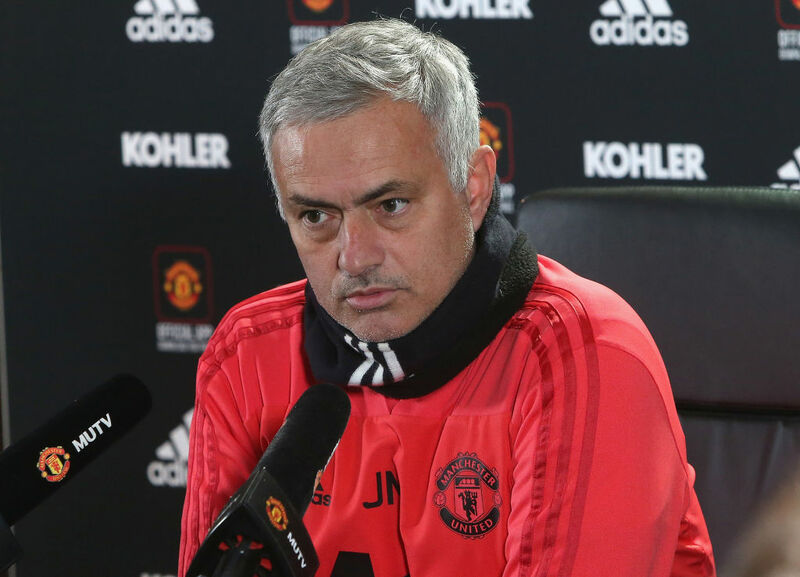 “The point is can we improve enough to catch them next season?” Mourinho said that day in April, but has only overseen a collapse in United’s ambitions since. Despite spending more than City in the summer transfer window, the Portuguese coach has routinely trotted out the excuse that he was not backed enough in the market to mount a title challenge. 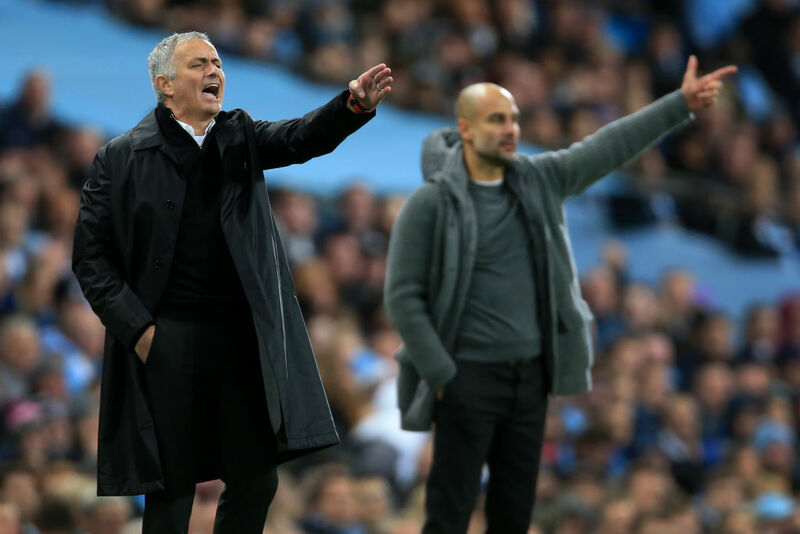 Mourinho’s latest justification was that City had an easier week to prepare having thrashed Southampton and Shakhtar Donetsk 6-1 and 6-0 respectively at home, while United fought to the end to secure 2-1 wins at Bournemouth and Juventus. “I told the players already that one thing is to win two matches at home six to zero, be fresh and relaxed physically and mentally,” he added. However, United made things difficult for themselves with what Mourinho himself described as a “chaotic” first-half display at Bournemouth and needing a famous win in Turin after failing to beat both the Italian champions and Valencia at home in the Champions League. United also felt Paul Pogba’s presence in the derby after he played through the pain barrier against his old club in midweek and was not fit to feature at the Etihad. Mourinho bemoaned the Frenchman’s absence meant Marouane Fellaini had to play the 90 minutes and was not fresh for an aerial bombardment off the bench when Anthony Martial’s penalty reduced United’s deficit to 2-1 after goals early in both halves from David Silva and Sergio Aguero put City in command. 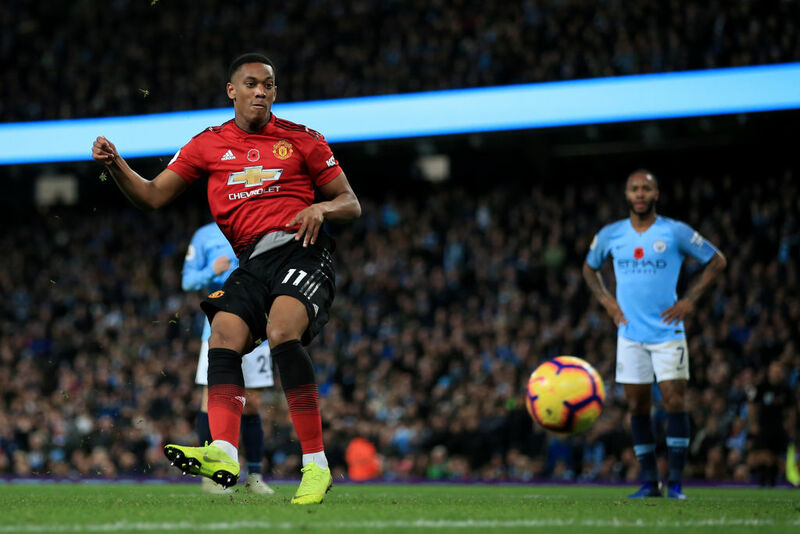 Instead, Martial’s spot-kick remained United’s only shot on target, while City sealed the game in a manner that emphasised the gulf in class between the sides. Ilkay Gundogan provided the final flourish to a 44-pass move five minutes from time. It was champagne football that showed why City are champions and United are struggling to make the Champions League.